Hardwood Industries | Associations and Affiliates. "Partners in Success Since 1981"
The National Hardwood Lumber Association was founded in 1898 to establish a uniform system of grading rules for the measurement and inspection of hardwood lumber. Since then, NHLA has taken on the role of educator, whose mission is to provide the industry with the training it needs to succeed in a changing and global economy. The Pacific Coast Wholesale Hardwood Distributors Association was founded in 1924 in San Francisco as a cooperative effort to promote fair business practices and communication between wholesale hardwood distribution companies along the West Coast. Today, the PCWHDA continues to provide networking opportunities to owners and executive managers within the hardwood distribution industry. Members discuss relevant topics such as industry practices, government regulations, and labor relations, as well as other critical issues, at the group’s annual convention. The Hardwood Distributor’s Association represents some of the largest and finest suppliers of hardwood lumber, hardwood plywood, hardwood moulding and hardwood architectural millwork. 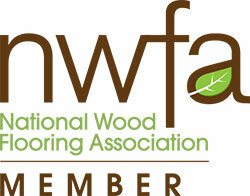 Authoritative resource for a sustainable, profitable, and growing Western hardwood industry. Founded in 1955 to assist Western US Hardwoods to a position of prominence in the manufacturing of fine furniture, cabinets and pallets. NACM has been helping businesses improve cash flow for over a century. As an Affiliate of the National Association of Credit Management (NACM), we offer credit reporting tools, collection services, and professional development opportunities for credit professionals in the Northwest.